News › How Do I Speed Up My Computer Quickly? How Do I Speed Up My Computer Quickly? The quickest and simplest way to help speed up any computer is to remove the temporary files your computer has built up over time. When a computer or laptop is running it collects temporary files using hard drive space, even though they are not important files, overtime they can slow down your system; however, by downloading CCleaner and using it regularly you can help improve the performance of your system. Once downloaded, you will need to locate your download, in most web browsers where is an option to view downloaded files from here you can click run or open to start the installer. 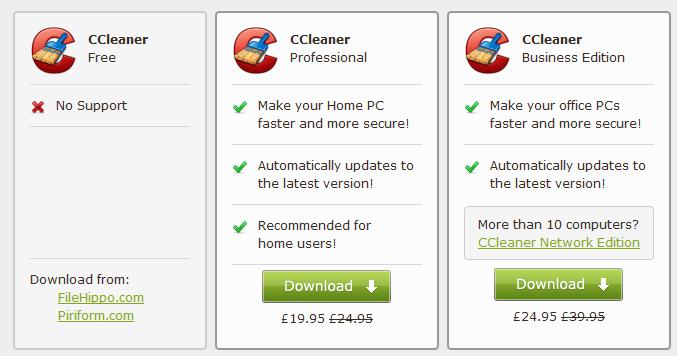 Now you’re all set to run CCleaner by click ‘Run Cleaner’, this may take a while the first time you run it. We recommend that you run it on a monthly basic to keep your computer running the best it can. If your computer is running now it might be worth running CCleaner.